The Addo Elephant National Park offers the best elephant viewing in the world and with a little luck most visitors to the park will be entertained by family groups of elephant engaging in mud fights and other playful activities. The park is home to the Big 5 and with the addition of the Marine section in Algoa Bay the Big 7 (great white shark and southern right whale). Most visitors to the Addo Elephant National Park prefer to leisurely drive through the park by themselves, however a number of guided tours are on offer. Morning and afternoon horseback-safaris accompanied by a ranger can be booked. While riding through the reserve one often has the opportunity of viewing game up close. Beginner Ride – 08:00 / Advance Ride – 14:00. No children under the age of 10 are allowed. Experience a guided Addo Elephant National Park Safari of both the North and South Sections of Addo’s Main Camp. The Main Camp at Addo has now grown to over 35000 hectares. Let our experienced guides that have trained eyes for spotting wildlife, local knowledge regarding: animal identification, local history, vegetation, local culture and stories, take you to the highlighted areas of the Park. Crisscross Adventures offer Addo Photographic Tours and as such will help you capture your Addo memories from up close and at the right angles. They are always on the lookout for the perfect shot! Includes transfers, drinks, lunch, conservation levies and entrance fees. Experience a half day guided Addo Elephant National Park Safari, giving you the best chance to see all that it has to offer. Includes transfers, drinks and snacks, conservation levies and entrance fees. Transfer from Hopefield Country House to River Safari. Explore a different side of Addo and view game and birds on the riverbanks while you drift down on some of the most scenic parts of the Sunday’s river in a custom designed, comfortable and stable canoe (no paddling experience needed). The popular guided Addo River Safari’s offers guests the best bird watching in the Eastern Cape, where one can find countless water birds, 7 different species of Kingfisher and chance sightings of the elusive African Fish Eagle and magnificent Goliath Heron. Bring Hat, Sunglasses, Camera and Binoculars if you have them. 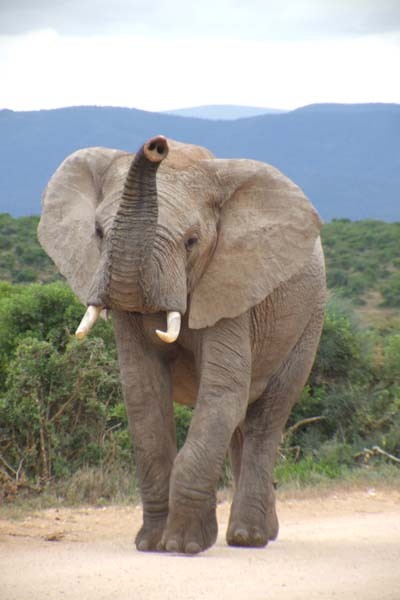 Transfer to Addo Elephant National Park for a guided Addo Park tour. Not only do the guides have trained eyes for spotting wildlife, but they also have local knowledge regarding: animal identification, local history, vegetation, local culture and plenty of local stories to round of a great tour. Crisscross Adventures offer Addo Photographic Tours and as such will help you capture your Addo memories from up close and at the right angles. They are always on the lookout for the perfect shot! Bring Hat, Sunglasses, Camera and Binoculars if you have them.